How many razors have you gone through in your life? Probably more than you can count. I think every woman has tried multiple types of hair removal, but more and more women are now turning to home laser hair removal. Over time, home laser hair removal may not only save you a ton of money compared to the cost of professional treatments. It also may lead to permanent hair removal, and it's completely safe. 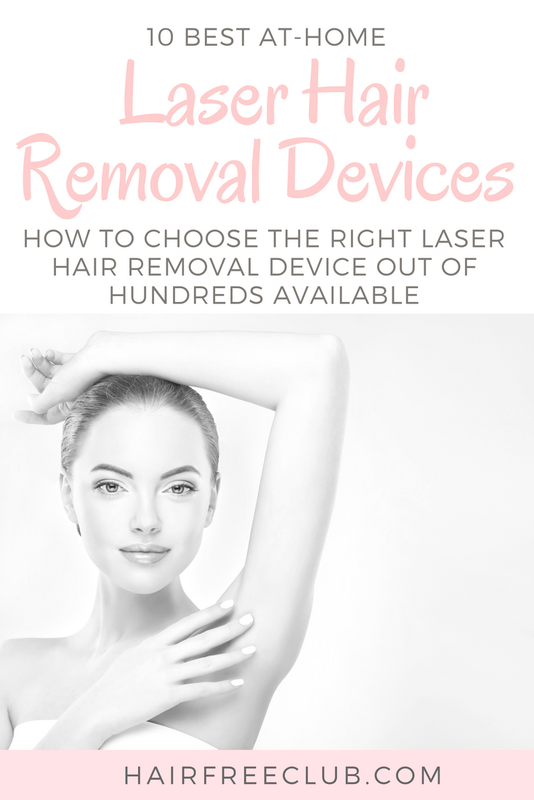 How do I choose the right laser hair removal device out of (many) hundreds available? We did the research so you don't have to, and found the top ten best at-home laser hair removal products. At the end of this article, we’ll also tell you which one of them is our personal winner. This little guy is easy to use, has low operating costs and outperforms its competition! Below you’ll find the pros and cons of what may be 10 best products available on the market. Read on to find your next favorite! At its simplest, at-home laser hair removal is a handheld device with pulsed light that breaks down hair at the follicle. The light heats the hair until it zaps the dark pigment. Once hair has been zapped enough times, it will be too damaged to grow anymore. Although for quite some time laser hair removal at home wouldn't work for people with dark skin or very light hair, there are now newer models that will. How Much Does Laser Hair Removal At Home Cost? DIY laser treatments are not only convenient, but they can also save you money. The average treatment cost per session is $235 in a spa or doctor's office. Since most people need multiple treatments in each area to remove hair long-term or permanently, purchasing an FDA approved laser hair removal at home device can save you serious money. Does DIY Laser Hair Removal Hurt? Home laser hair treatments seem to be a bit like tattoos when it comes to pain; it completely depends on who you ask and where on the body the treatment is. Some people say it barely hurts at all, while others say that it feels like a rubber band being snapped against your skin over and over. So it looks like the level of pain will completely depend on your own pain tolerance and the sensitivity of the area. For example, it may be less painful on your calves than it would be on your ankles. If you're really worried about pain, you can ask a medical professional about numbing creams that you can use beforehand. How Safe Is It To Use a Laser on Your Skin? You might be a little hesitant to zap your skin with a laser, but you can avoid injury by following the instructions. Each device has its own abilities; some are safe for use on dark skin, while others are not. The Tria 4X, for example, is not safe for people with dark complexions or light hair. 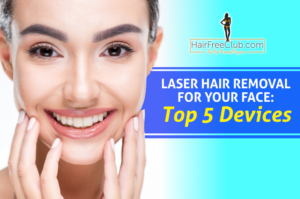 They have a handy interactive chart on their website that allows you to determine whether it is safe for you to use a laser device for hair removal. The Tria 4X (and many other devices) also has a safety mechanism that will lock if it detects skin or hair pigment that is not fit for it. They also urge consumers to take care when using numbing creams, as you can accidentally hurt yourself if your skin is too numb. The FDA recommends that you stay out of the sun while healing from your treatment; it's probably most practical to do at-home treatments days before the beach rather than minutes. Consult with a dermatologist to find the best timing. Just like with anything else, proper use is the safest way to go. You may be skeptical of models and journalists who claim that body hair laser removal devices work. After all, they're getting paid to promote a product. Go to YouTube, though, and you can find tons of demonstrations, before and after vlogs, and discussions from vloggers ‒ people who have been posting video blogs for months or years, with social proof in the number of followers they have. You may have a hard time finding a video that doesn't feature an affiliate link or coupon code; the vlogger may or may not be biased in their review. So what results did she get, exactly? Michelle says that even after only three or so treatments, her hair is growing in slower and finer, making shaving a breeze. She also says that the device is lighter in weight than she expected it would be ‒ making it super easy to use and maneuver while performing treatments. It may feel overwhelming, especially considering how many permanent hair removal at-home devices there are on the market. So best would be not to jump into buying something right away and do some proper research instead. One way is to read through as many reviews as possible. A good rule of thumb is to read a few four- and five-star reviews, but focus more on the three-, two-, and one-star reviews. 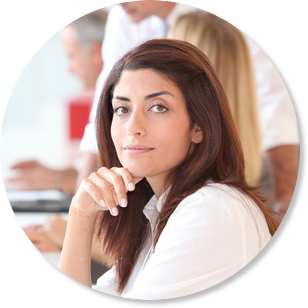 After reading several, you can get a sense of what seems to be a fairly common complaint or whether another customer's issue might not be applicable to you. After reading a dozen ‒ give or take ‒ reviews from each device, compare and contrast their features. If you have dark skin, for example, you'll want to skip the Tria 4X altogether and take a look at the Silk'n Flash&Go. You'll also want to take your budget into consideration. These devices run anywhere from just over two hundred dollars to several hundred dollars or more. Expensive ‒ or is it? Keeping in mind that an at-home device will save you the cost of in-office treatments, you may want to calculate what you would have spent on appointments, then compare the total to the devices you are interested in. 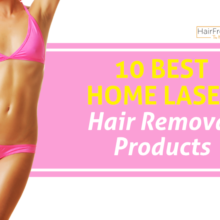 To save you some time, I've rounded up the 10 top home laser hair removal systems. Check them out below! For safety reasons, there is a sensor that detects skin tone and locks if the melanin in the skin is too dark (or too light in the hair). It has been cleared by the FDA and blocks both UV and infrared energy during treatment. In clinical trials, leg and underarm hair was less visible twelve months after three treatments. Upper lip hair was less visible nine months after six treatments, and men's chest hair less visible one month after three treatments. 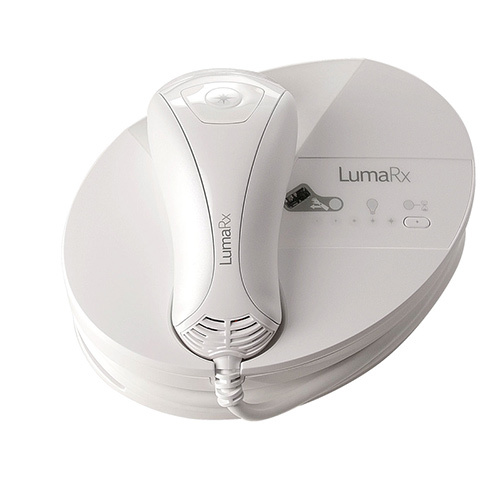 Reviewers seem to be overall satisfied with the results of the LumaRx, though several say that the size of the light makes treatments time consuming (which seems to be a theme amongst these devices). Users recommend that others start on the lowest setting and work their way up to avoid any pain. It's important to note that each of these devices is not safe for use on darker areas like freckles, moles, or tattoos; using it on these will result in painful burns. If you're not sure, it's better to be safe than sorry! Click Here to Buy LumaRx IPL Device! Deess boast over 17 years experience in fine-tuning and perfecting their hair removal products. They have conducted extensive, ongoing clinical tests of their products and they are sold in more than 120 countries. The Deess systems claim to fame is their clinical tests that showed results of 70% reduction after third treatment and a noticeable reduction in regrowth after the 5 treatments. Following 9 to 10 treatments, they claim a 90% reduction in unwanted body hair so all that is needed is the occasional quick touch-up. There is a safety sensor in this machine that ensures you have the head pressed against your skin before it delivers the pulse. The set also includes safety goggles for eye protection against the light. This Deess machine is not cordless and must be plugged in to use, making it less ideal for travel. On the bright side, this means that the device will not get discharged while in use. 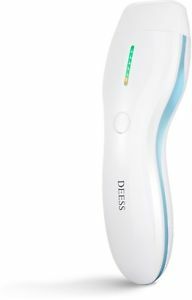 Click Here to Buy Deess IPL Device! The Braun Gillette Venus IPL kit is a two for one; not only does it remove hair using an IPL, but it also doubles as a razor ‒ making it pretty convenient for treatments, considering you have to shave first. This device boasts fast treatments, estimating about eight minutes to treat a single arm or leg. 94 percent of women noticed a results after only three months, and 89 percent of users noticed continued results twelve months after their last treatment. Clinical studies were conducted in 2013 and 2014. Supposedly, users will see results after just four treatments. It also boasts gentle and painless treatments. This device's IPL reads the melanin in your skin eighty times per second and automatically detects skin tone and adjusts for treatment. However, like the other devices, it is not intended for people with darker skin or lighter hair. It is shaped just like a regular electric razor, making it easier to use in tight areas, but weighs a whopping eight pounds ‒ which could make it cumbersome. Some reviewers said that, on their legs, it didn't hurt at all. In more sensitive areas, such as their underarms, it felt a bit like a pinch. Most people seem to be pretty satisfied with it, though it's been mentioned a few times that its size and weight makes it a little difficult to use. 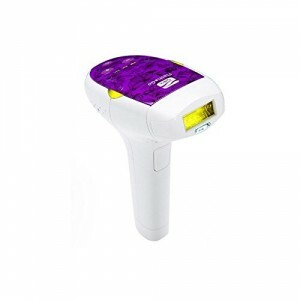 Click Here to Buy Braun IPL Device! Just like the HailiCare three-in-one system, the Mlay M3 comes with three different heads: one for hair removal, one for acne treatment, and another for skin rejuvenation. It can be used by men and women of light to medium complexion, with darker hair on: arms, underarms, bikini line, legs, back, chest, and upper lip. Using IPL technology, the Mlay laser hair removal machine works in an average of four or five treatments, with some people taking less or more treatments before they saw results. The Mlay M3 comes with safety glasses and an AC adapter; it is not a cordless device. It weighs about four pounds and is shaped like a scanner. In Mlay hair removal reviews, as well as in the manufacturer's manual, it's recommended to do seven to nine treatments, with your first three treatments done weekly. You can perform the next four to six treatments once every two or three weeks, and continue treatments as needed every two to three months. This Mlay IPL permanent hair removal device is another relatively new product with mostly satisfied customers who say that, as with other devices of its kind, it took a few treatments but worked well. Click Here to Buy Mlay M3 IPL Device! 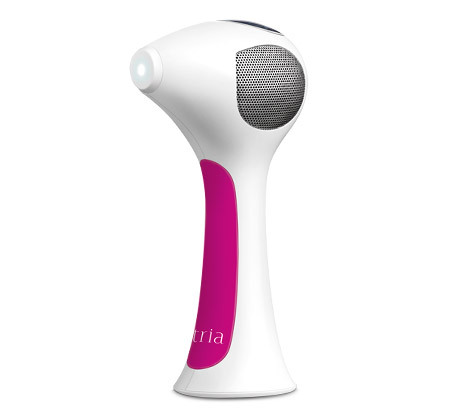 The Tria Beauty Hair Removal Laser 4X directly competes with the Remington iLIGHT Ultra, the next device in my list. It's by far the sleekest of all the devices; with a wide handle and small head, it looks like a futuristic scanner. At nearly four pounds, though, it's almost the heaviest. It was the first of its kind to be approved by the FDA. Tria suggests that you perform self treatments once every two weeks for up to three months. Three weeks after two treatments, clinical studies showed a 70 percent decrease in hair. After two months of treatment, hair is visibly finer and grows less. Tria says that after three months, hair follicles that have been deactivated no longer grow. It is cordless, making it easily portable around your home or for travel. It also has a digital interface that is easy to use, letting you know how many pulses have been delivered. As a safety mechanism, the laser only pulses when in contact with skin. Customers who are used to in-office treatments found the Tria not very painful even on its highest setting. Other users compared the sensation to a minor burn. Still, other customers said that it was very painful. It seems that experiences vary widely, so definitely do a test run before going all in. Some people also found the size of the device cumbersome in tight areas ‒ especially because of the laser's size. Just like other devices, it has a built-in sensor to detect skin tone. The Tria 4X is another device that is unsafe for dark or tanned complexions or those with white, blonde, or red hair. There were many reviewers complaining about this, as it seems that this information was not readily available. Some say that the Tria 4X didn't work for them at all. Click Here to Buy Tria Beauty Device! 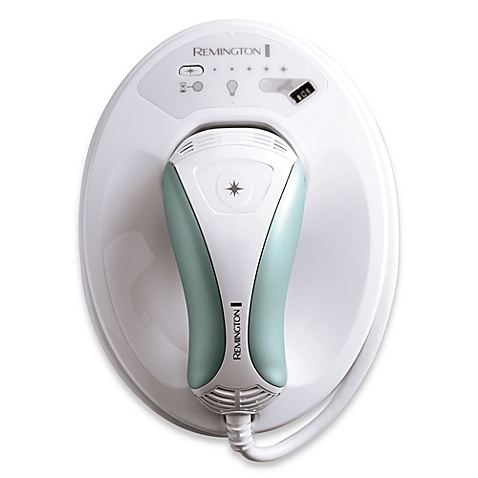 The R­emington iLIGHT Ultra boasts up to 94 percent hair reduction in about three treatments. Like the Tria and Philips Lumea, it is not effective for people with light hair or dark skin, and automatically locks when the sensor detects these features on your body. It can, however, be safely used on the face ‒ a real standout feature. The Remington iLIGHT Pro and Pro Plus Quartz models aren't safe for facial use, but the Ultra is; however, it cannot be used on male facial hair. It was cleared for consumer use by the FDA. This device isn't a laser, per se. It's an "intense pulsed light," or IPL. Along with removing hair, IPLs are used to treat skin pigmentation, sun damage, and thread veins. Rather than a laser, an IPL is a computer controlled flashgun ‒ an alternative to harmful UV rays. As with laser devices, many reviewers caution that this isn't an overnight miracle. A common issue seems to be that the bulb often dies out long before it's supposed to. The bulbs are replaceable as cartridges, and many customers say that length of use seems to vary from bulb to bulb. Consumers also say that because the bulb itself is so small, treatments take longer than expected. Some reviewers say that it feels like a rubber band snapping on your skin, while others say that they felt little or no pain. Many users recommend starting out on a lower level to get more use out of the bulb and to see where your pain threshold is. Click Here to Buy Remington iLIGHT Device! 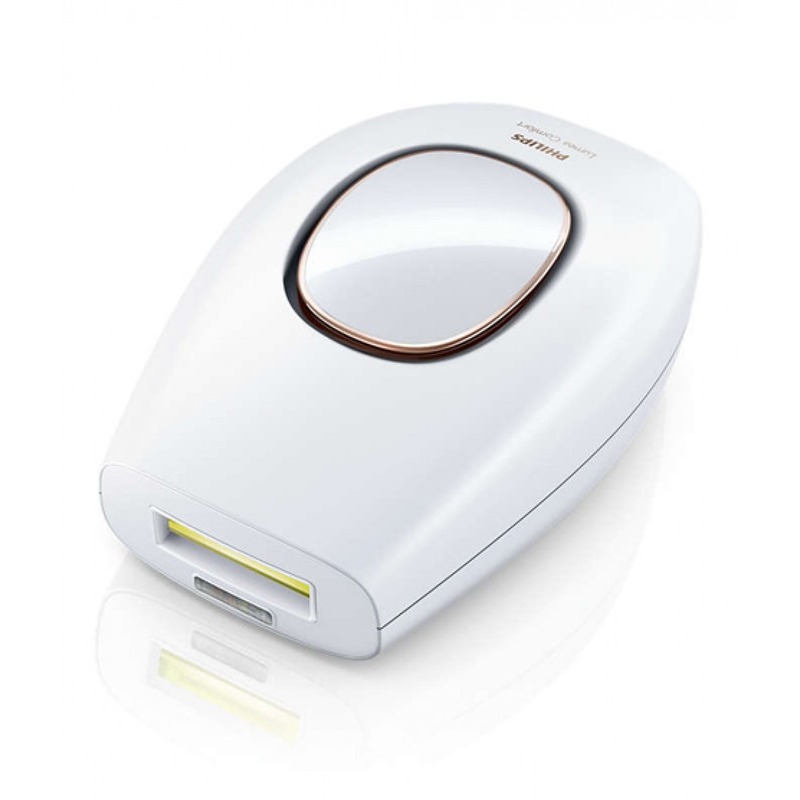 The Philips Lumea Comfort IPL begins to work after just one treatment. Like many devices, it has a safety feature that senses skin tone and locks if it's too dark. It is ideal for light to medium skin tones, and dark hair. Its pulses are cool to the touch, and it has a UV filter to protect your skin. Though there is a two-year warranty, Philips claims that you can get over four and up to six years of full-body treatments out of it, and that no replacement lamps are needed. The device is lightweight at about one pound, and its longest side is under five inches long, making it easy to hold in your hand. It's sort of pod-shaped, and fits comfortably in your palm. Results seem to vary depending on the customer. A couple users mentioned that you should not use this model if you have Polycystic Ovary Syndrome (PCOS), but Philips does not mention this in the manual. If you are a PCOS patient, be sure to check with your doctor before purchasing and using the Philips Lumea Comfort IPL. Many users note that this device does not work quickly, but over several treatments. Areas with thicker hair ‒ such as armpits ‒ will take longer before you see a noticeable difference. 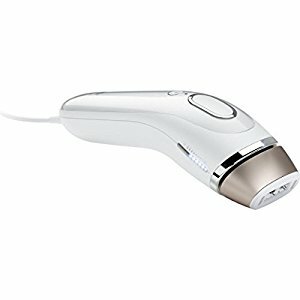 Click Here to Buy Philips Lumea IPL Device! 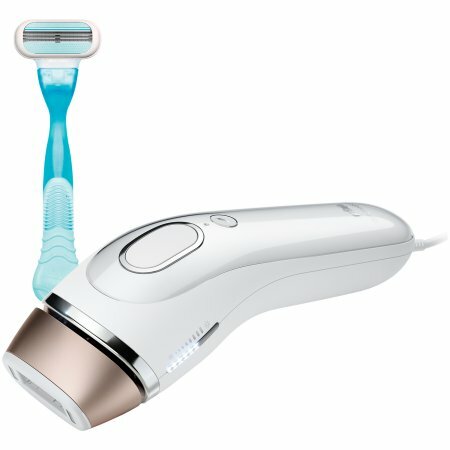 After much searching, I found a most effective (not to mention safe) home laser hair removal system for men and women of color. The Me Smooth is not only suitable for people with dark skin, but also safe for people with light or red hair. It uses IPL and radio frequency (RF) technology to reduce hair by 94 percent. It is shaped a bit like the mouse that you would use with a desktop computer. It weighs four pounds, making it one of the less hefty devices. The Me Smooth reduces hair just three months after treatment, regardless of skin tone. Unfortunately, the majority of reviewers say that it doesn't work as well as the manufacturer claims it does. People who used it for more long-term treatments seemed to be more satisfied with their results. Some feel that it is far less effective than in-office treatments. From what reviewers say, the Me Smooth seems to be more of a long-term hair removal solution rather than permanent hair removal system. Click Here to Buy me Smooth Device! Another FDA-cleared device, the Silk'n Flash&Go touts fast treatment and ease of use for more sensitive areas ‒ such as the bikini line, under your arms, or the upper lip. Weighing in at one pound, the Silk'n Flash&Go is shaped more like a scanner that a sales associate would use at a grocery store. It's nine inches tall, making it a bit more clunky than the others. Some reviewers say that lower settings produce slower but less painful results, while higher settings will make treatments and hair loss faster but are a bit more painful. One reviewer said that, on the highest setting, it "almost" hurt. Be sure to protect your eyes really well. Some users experienced headaches from the light, even with eye protection. Several users strongly encourage other customers to purchase strong eye protection, as the light is very bright. Just like other devices, the hair removal seems to work better in areas where hair is naturally more fine. Several users were impressed with the effects on their legs, but less happy with the removal of armpit hair, for example. As with all devices, the Silk'n Flash&Go works best when you've already shaved the area. 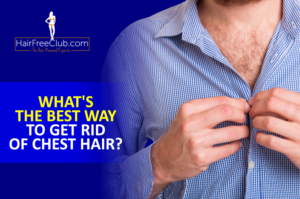 If you don't shave before treatments, the laser has to work harder to get to the follicle, resulting in more pain and even stinky burned hair. Some customers note that, if you want faster treatment, you can hold down the trigger and the light will pulse every four seconds. They say that this achieves quicker sessions in larger areas such as your legs. Many customers say that this device is very easy to use. Click Here to Buy Silk'n Flash&Go Device! 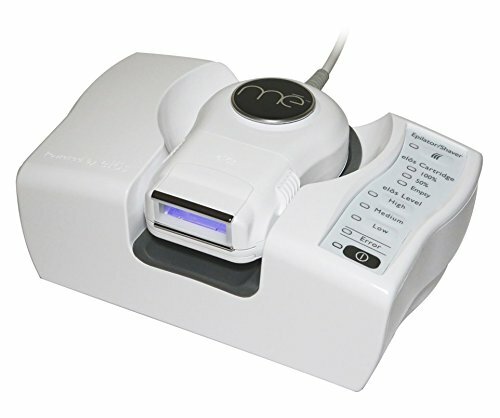 Last but not least in my hair removal top 10 systems comparison is the MyM System. The MyM Hair Removal System is not an IPL or a laser, per se, but a home pulsed light (HPL) technology hair removal device. The HPL technology is supposed to be less painful than laser or IPL technology, but with equally professional results. It works by emitting a gentle light that heats the hair shaft, removing the hair and suppressing its growth. This is another device that looks like a scanner. It weighs just a bit over two pounds, and its light seems to be a bit larger than that of other devices, potentially making treatments faster. It is safe for use by men and women with light to medium complexions and darker hair. The MyM Hair Removal System also comes with safety glasses, which is another plus considering each customers' varied reactions to the light. It is also packaged with two cartridges, as opposed to other devices' single cartridge. Though it is a relatively newer product, customers seem to be happy with it, noticing a difference as soon as two or three treatments. It is important to note that this device is not intended for facial hair removal. The MyM Hair Removal System manufacturer estimates four minutes for underarm hair removal treatments, seven minutes for bikini and leg hair removal, eight minutes for arm hair removal, and fourteen minutes each for both back and chest hair removal. 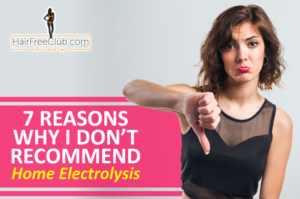 There is no indication as to whether the MyM Hair Removal System can be used cordlessly or whether it must be plugged in to perform treatments. 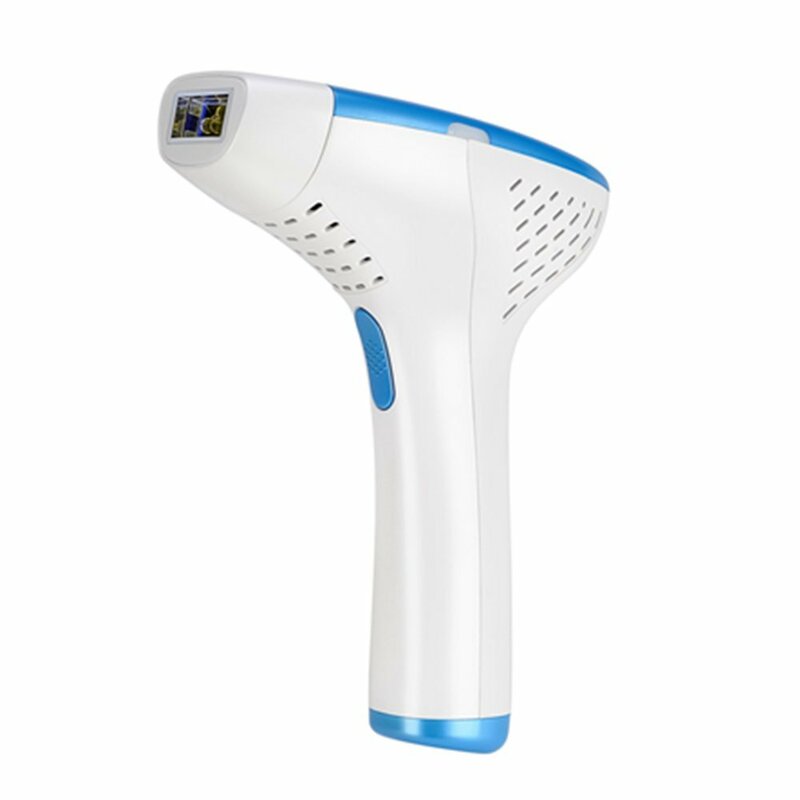 Click Here to Buy MyM Hair Removal System! So Which One is the Best of the Best? Though I hope that we can eventually have a device that is safe and effective for all skin complexions and hair colors, it seems that the technology is not quite there yet. That said, for me, the clear winner is the LumaRx Full Body IPL Hair Removal Device. I really like that it is so easy to hold in your hand, and isn't as heavy or clunky as the others. It's also a major plus that it can be safely used on facial hair. Of all the IPL hair removal products, it seems to be the most efficient for its cost. It's also been cleared by the FDA, which is very comforting considering using it entails breaking your hair down with a laser. With so many good reviews as social proof, it seems like the best bet and best mileage for your money. Using at-home body hair laser removal devices is safe, much more affordable than in-office treatments, and easy. With your new device, you'll be zapping away like a pro in no time. Most importantly, you'll spend less time shaving and more time just enjoying life! What more could a person ask for? We hope this article will help you get your hands on the top home laser hair removal device out there! Any thoughts or questions? Share in the comment section below! Alyssa is a young, professional blogger living in Hoboken, NJ. Thanks to her Middle Eastern heritage, Alyssa is no stranger to unwanted hair. She has tried every laser hair removal product on the market in a quest to find the best! 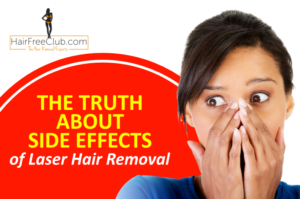 Does Home Laser Hair Removal Cause Cancer?